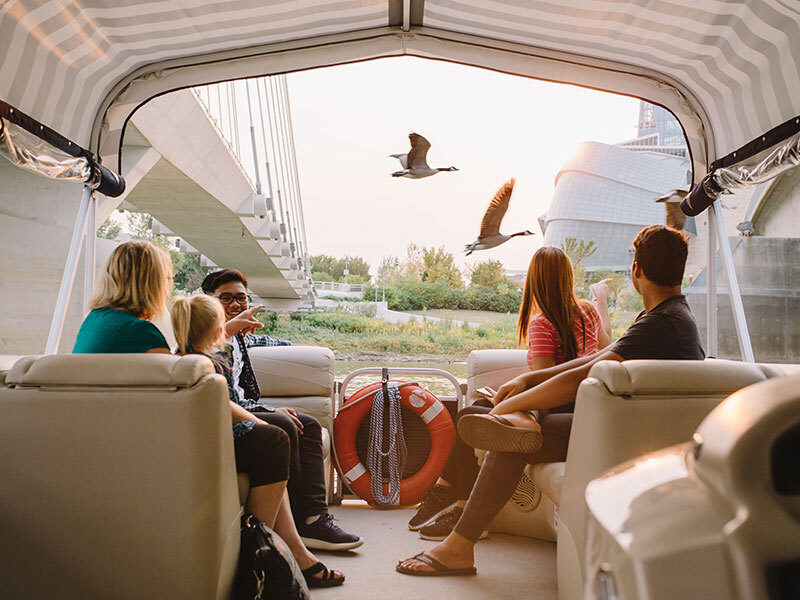 Climb aboard a Splash Dash guided river tour and see Winnipeg from a different perspective. As you meander down the Assiniboine and Red Rivers your guide will provide insights on city points of interest, from the St. Boniface Cathedral-Basilica to the Manitoba Legislative Building. As an alternative to the city’s regular transit options, take the water bus from any of the five docks located along the river to get you from the restaurants of Corydon Avenue to the historic Exchange District. Connect with the flora, fauna, and wildlife at FortWhyte Alive’s urban nature reserve, and Oak Hammock Marsh, located just outside of the city. Both locations are along a major migratory birding path where hundreds of species can be spotted. Explore the marshes with an interpreter; canoe, hike and fish the wetlands ecosystem to better understand their significance. 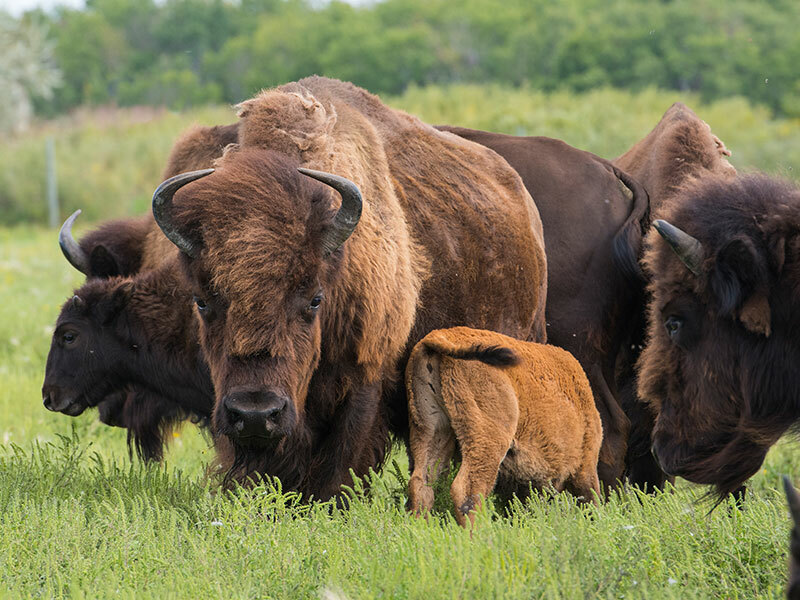 Feel the flutter of a songbird's wings on Oak Hammock Marsh's Bird in the Hand experience, or get up close and personal with bison during FortWhyte Alive's A Prairie Legacy excursion. 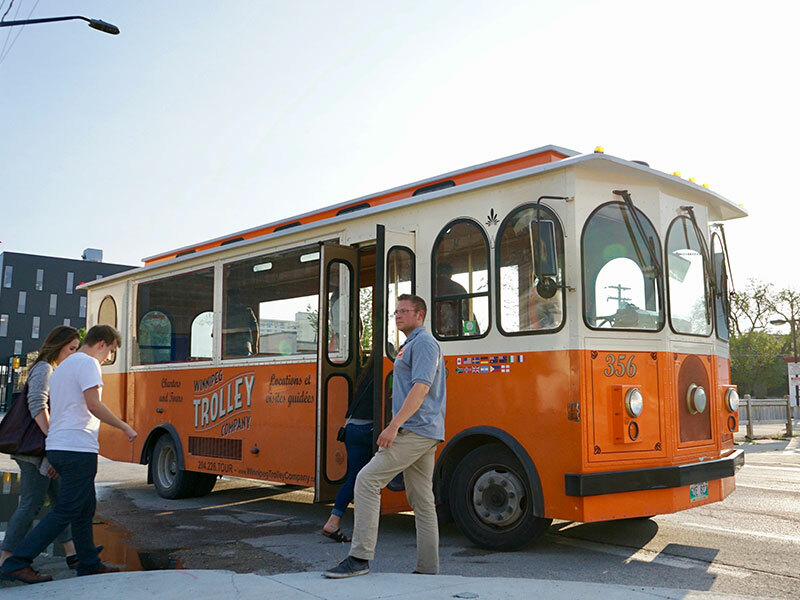 All aboard the trolley for an engaging experience set on the streets of Winnipeg. Keep your eyes peeled for possible film crews using the historic backdrop of the Exchange District, feel the charm of the French Quarter, marvel at the mansions along Wellington Crescent, and learn more about Winnipeg’s connection to famous figures such as James Bond. Looking for a more spookier scene? Take the Trolley of Terror haunted tour. And if you’re looking for a night on the town, wet your whistle on the local brewery trolley tour. Summertime is when this Winnipeg star attraction truly shines. Watch a live performance at the Lyric Theatre, take in a Leo Mol sculpture firsthand, or come nose-to-nose with one of the Assiniboine Park Zoo’s resident polar bears. 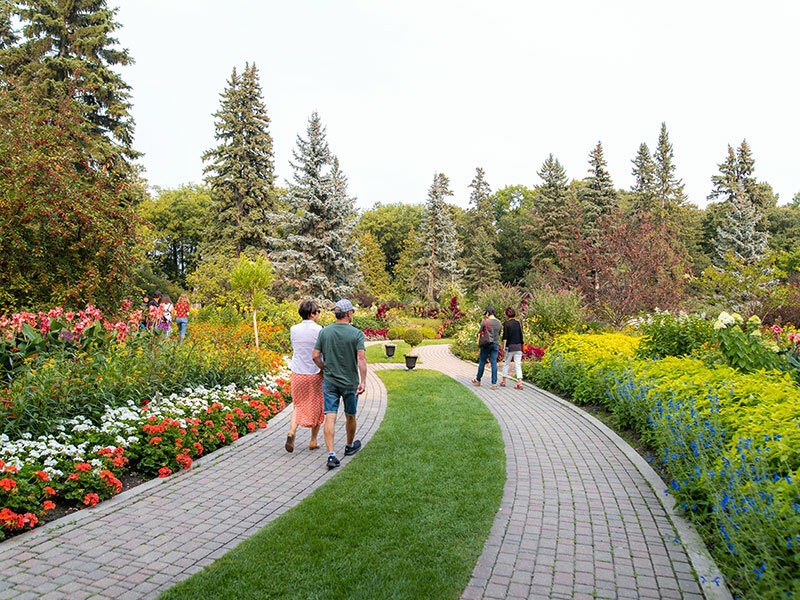 The park is also the perfect spot to reconnect with nature along the kilometres of trails, gardens, and green space. If the day is a little dreary, pop into the Pavilion to admire art and learn the story of “Winnie the Bear” and feast on a locally inspired lunch at The Park Café. You’ll be singing the praises of this unique musical theatre set in the heart of Kildonan Park. 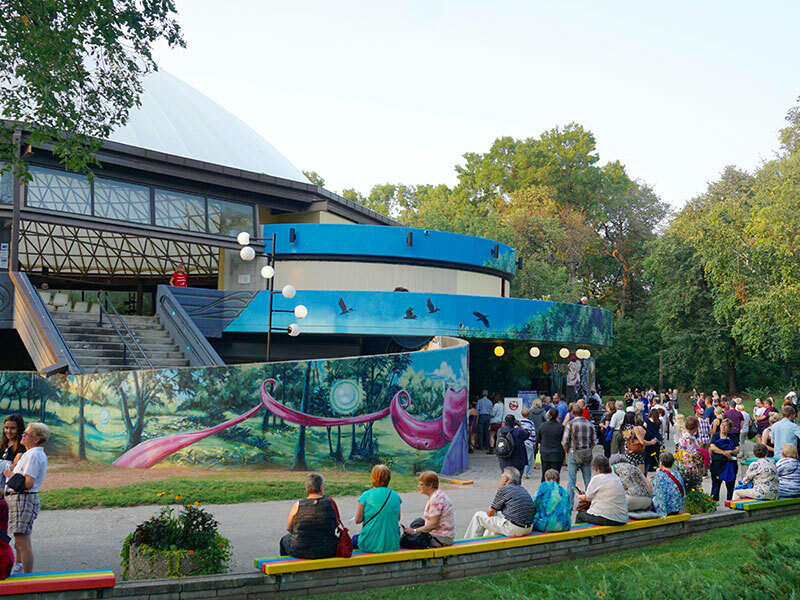 As Canada’s largest and longest-running outdoor theatre, Rainbow Stage’s performances have ranged from musical comedies to contemporary Broadway-style shows. Take advantage of the warm summer nights to have a picnic before the curtain rises, or a stroll along the many trails and bridges that twine through the park. Are you ready for some football? 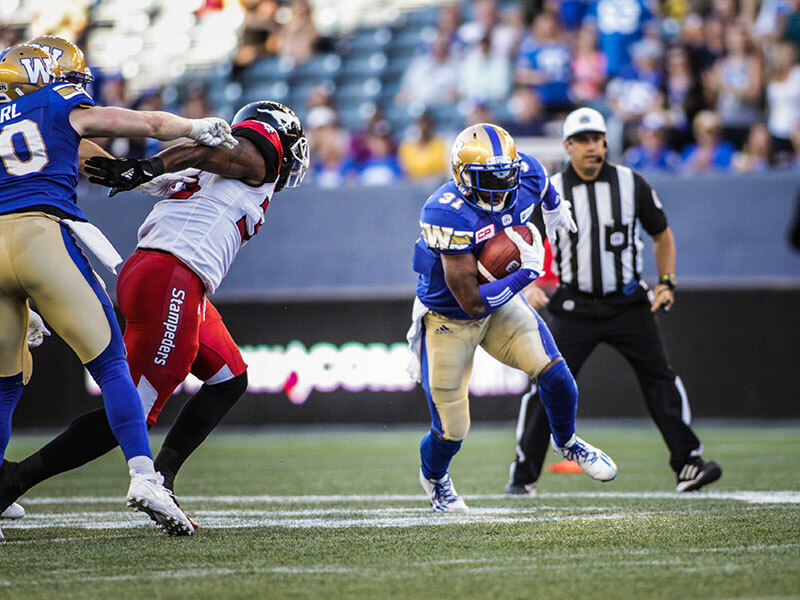 Cheer on the CFL’s Winnipeg Blue Bombers as they hit the turf at Investors Group Field . There are plenty of local restaurants and vendors that have set up shop inside the state-of-the-art stadium, to satisfy any fan’s appetite. If baseball is more your game, get your glove out to possibly catch a pop fly at a Winnipeg Goldeyes game at Shaw Park. Located just minutes from The Forks and downtown Winnipeg, the park is the perfect setting for a summer evening of ball, food, and affordable family fun. 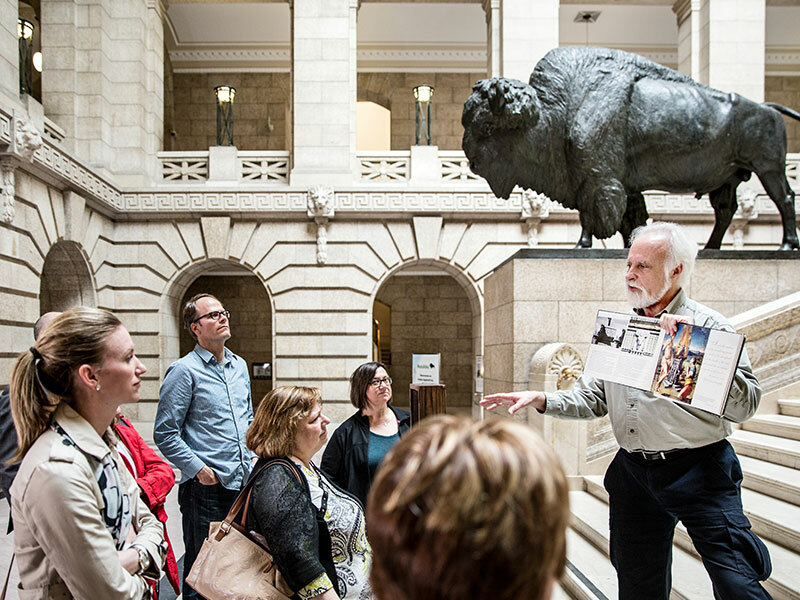 What secrets will be revealed when you take this intriguing tour of the Manitoba Legislative Building? Designed by a Freemason architect in the early 20th century, the building boasts many secrets hidden in plain sight; just take a long look at the roof to see one of many examples. Start by touring the outside of the building to see what ancient symbols and figures you may be able to spot. Inside you’ll find more hieroglyphic inscriptions, numerological codes, and symbols hidden throughout the architecture. Visit the Bridge Drive-In (BDI), a Winnipeg institution, for a classic soft serve or a gooey Goog before strolling across the Elm Park Bridge. Even though it’s summer, enjoy Sargent Sundae’s creamy pumpkin pie flavoured ice cream, which can cause line ups around the block. For a #shoplocal cone try Chaeban Ice Cream’s flavours, made using a wide range of flavours on a constantly rotating menu. 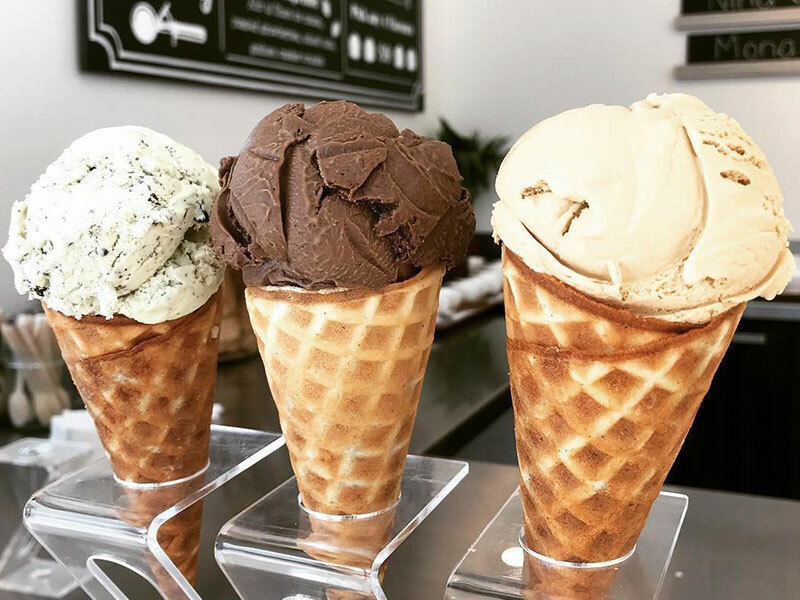 All ingredients, down to the milk, are sourced locally and the ice cream is made in-house by these second-generation dairy experts. Whatever you’re into, Winnipeg has a festival for it. 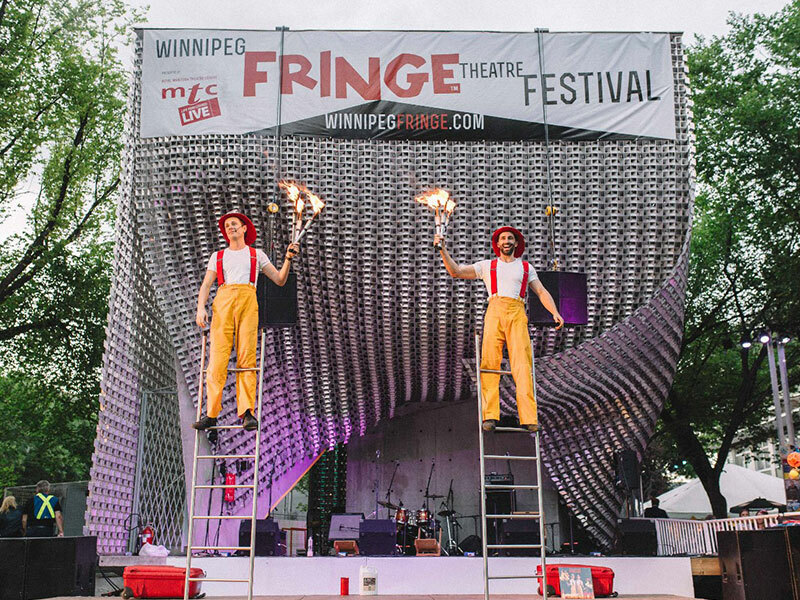 Experimental live performance lovers flock to the Winnipeg Fringe Theatre Festival, swinging hip cats snap their fingers for the TD Winnipeg International Jazz Festival, while all the world’s a stage at Folklorama, Canada's largest multicultural festival. Thrill seekers find their fun at the Red River Exhibition’s midway, while lovers of the laid back lifestyle throw down a blanket next to new friends while listening to an eclectic mix of music genres of the Winnipeg Folk Festival. Hit the hot pavement to learn about the city’s intriguing history, facts, and figures. 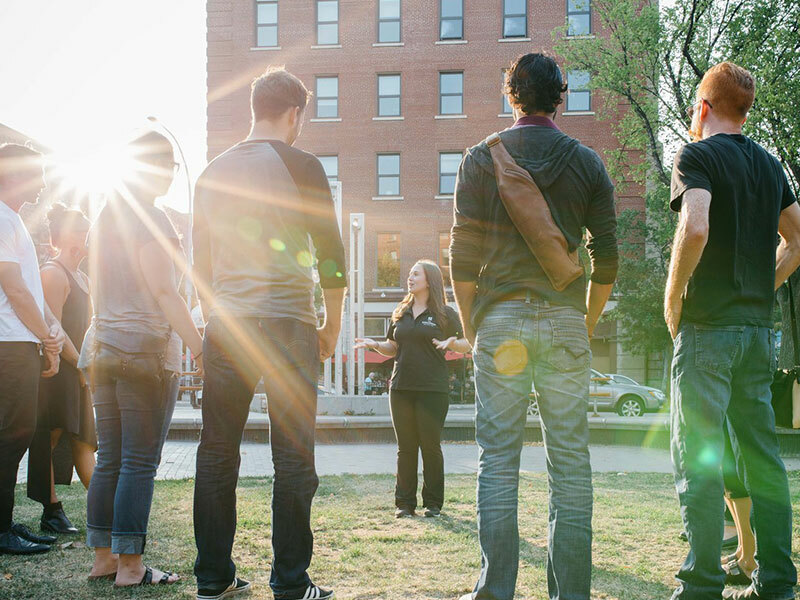 A theatrical tour through the Exchange District gives insight into riots, rebels, and revolutionaries that shaped the city, while the Setting the Stage option takes you literally behind the scenes of the unique theatres in the district. Gain a better understanding of the urban murals painted throughout the city’s West End or what it was like to be a fur trader in St. Boniface, Winnipeg’s French Quarter.